Chelsea defeat Burnley 2-1 at Turf Moor to keep Champions League hopes alive. 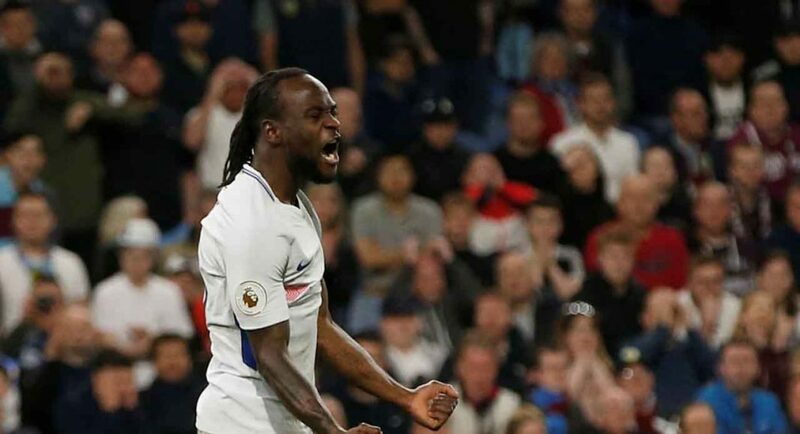 Victor Moses sets up one goal and finishes another to close Tottenham gap to five. Do you agree with our player ratings, Blues? Chelsea kept their feint hopes of Champions League qualification alive after defeating Burnley 2-1 at Turf Moor on Thursday evening. The visitors took the lead through an own-goal from Burnley defender Kevin Long. Victor Moses worked the ball into the penalty area from the right-hand-side. Goalkeeper Nick Pope punched the ball into Long, who could do nothing but watch as the ball nestled in the back of his own net. Mid-way through the second-half, Burnley were level. The ball deflected off of Ashley Barnes and wrong-footed the helpless Thibaut Courtois. Offside calls from the Chelsea players were swiftly waved away by the match officials. Moses was not prepared to sit by and watch Chelsea throw away any more points, however. The Nigerian found the ball at his feet in the opposing penalty area and drilled the ball into Pope’s bottom corner. It was a great finish from the Nigerian. Chelsea are now five points behind fourth place Tottenham with four games to go. It’d be the unlikeliest of turnarounds, but it’s possible. Here’s our player ratings for today’s game.